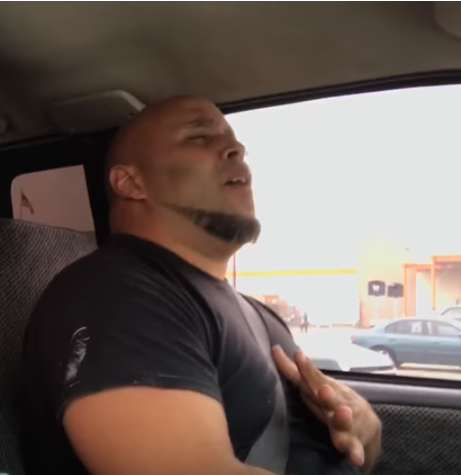 Earlier this year Dayla Jones filmed her dad singing in the car. When she posted the video to YouTube though, she was shocked by the insane reaction! The video immediately went viral, and in less than one year has garnered over 35 million views! Hello world! Meet Kris Jones, a Texas native with a passion for singing and the pipes to match! The linebacker look-alike makes his living as a general contractor, but don’t let the bulk and blue-collar fool you; this man is made of soul! As it turns out, Jones isn’t new to the wonderful world of singing. He recalls being a young boy who loved to belt it out, and his mom had to teach him not to outdo the other kids in choir. The difference between then and now? The world is begging to hear more! In fact, the crazy success of his debut has led Jones to record more cover songs. He as several viral videos on the YouTube channel his daughter Dayla manages for him. You can watch their adorable father/daughter duet too, covering Keith Urban’s Blue Ain’t Your Color. With his smooth-as-whiskey voice, he’ll instantly blow you away singing the opening verse for George Jones’ billboard hit, Tennessee Whiskey. Grab your jacket; this cover’s going to give you the chills! Continue to the next page to see why this guy is going viral! Great vocals! Really enjoyed this man’s version. Brother , you really know how to sing.